Find out ways to protect your child HERE. Carbon monoxide (CO) is a gas that you cannot see, taste or smell. In 2009, poison control centers reported more than 3,500 cases of carbon monoxide exposure in children 19 and under. Learn how to protect your family HERE. Learn about other dangers regarding choking and strangulation HERE. Unintentional falls are the leading cause of non-fatal injuries for children in the United States. In 2012, unintentional falls resulted in nearly 3 million injuries requiring treatment in an emergency room. These injuries resulted from activities such as climbing on furniture, playing near an unsecured window, falling down stairs or playing on playgrounds. Want a great book on childhood falls, written by a family that went through it? Visit our ﻿Infant and Home Safety Page﻿. Check out great tips HERE. Lean essential gun safety tips HERE. Put the toll-free Poison Help Number into your home and cell phone: 1-800-222-1222. Want other great ideas? Click HERE. To read these tips, click ﻿HERE﻿. ﻿Unintentional suffocation is the leading cause of injury-related death among children under 1 year of age. Nearly three-quarters of suffocation deaths among infants are from accidental suffocation or strangulation in bed. Top safety tips are HERE. Find out the best ways to protect your children HERE. Want great tips for water around the home, swimming, and boating safety? And click HERE for our page listing our LIFE JACKET LOANER CABINET locations. FREE CPR classes for groups of 10 or more. 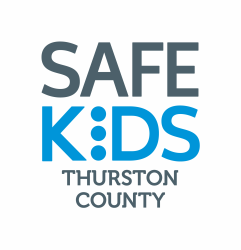 Contact Thurston County Medic One by phone at 360.704.2780 or Cl﻿ick HERE for more information.